Welcome to the authentic home and studio of the Plantin-Moretus printing family. This is where the age-long history of the book, printing and entrepreneurship really comes to life. It is home to the oldest printing presses in the world. There are tens of thousands of books about pretty much everything people find fascinating and a great fine art collection. This UNESCO word heritage offers you a unique historical experience as it takes you back to Antwerp’s golden sixteenth century. The Frenchman Christophe Plantin settled in Antwerp around 1550. In 1555 he established his famous printer-publisher’s, making him the first industrial printer in history. Officina Plantiniana, as Plantin named his publishing house, proved to be a successful business. It expanded into a multinational with branches in Leiden and Paris. The firm kept going for around 300 years, first run by Plantijn himself, later by his successors, the Moretus family. 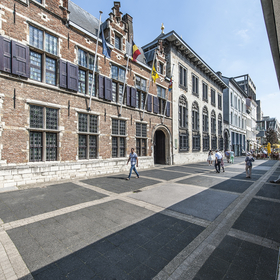 In 1876 Edward Moretus sold the whole site, house and printing establishment to the City of Antwerp with the request to turn it into a museum. 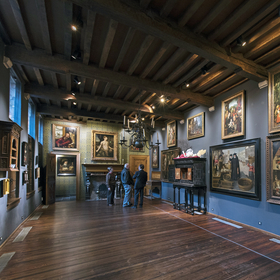 The unique collection, art and the publishing house resulted in the Plantin-Moretus Museum being recognised as UNESCO world heritage in 2005. To date it is the only museum in the world on this list. In 2016 the Plantin-Moretus Museum was fully renovated. In addition to a new building with a reading room and storage there is a new permanent exhibition. The museum and family come to life more than ever before thanks to a range of films, books you can leaf through and a space in which you can try your hand at printing. The ground floor focuses on Plantin and his family; the upstairs focuses on the publishing house. The magnificent house is still full of wallpaper, cordovan leather, paintings and sculptures. On the walls there is a series of portraits which the Moretus family had ordered from Rubens. The print room contains prints and drawings by Antwerp masters from the sixteenth century to the present day. Be sure to enter the large library. In 1640 this was home to the Moretus family’s private collection. And admire the museum’s enclosed garden, an oasis of tranquillity which looks just the same now as it did back then. On the first floor the focus is on the publishing house with which Plantin and his descendants put Antwerp on the map. Ten masterpieces which shaped the world show us how important the publishing house was for the development of humanity – it’s not for nothing that the museum’s archives are on the Memory of the World register. Icing on the cake: dating back to around 1600, these printing presses are the oldest in the world. Looking for more inspiration to turn your visit into an unforgettable experience? 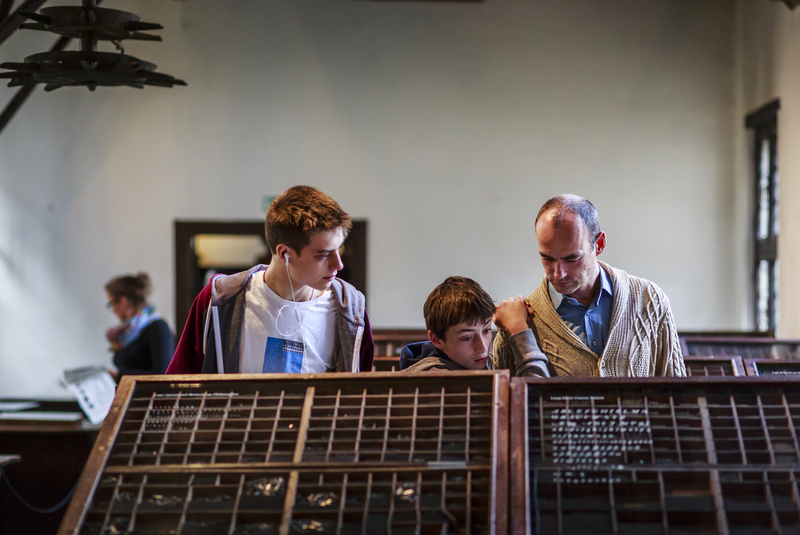 Then read our seven tips for your visit to the Plantin-Moretus Museum. Step inside the home of the greatest Baroque artist north of the Alps. The new Snijders&Rockox House opened its doors in 2018. It was once the home of Nicolaas Rockox, the 17th century mayor, art collector and friend of Rubens, as well as the 17th century painter, Snijders. The history of the book printing industry comes to life in the house and studio of the Plantin-Moretus printing family.